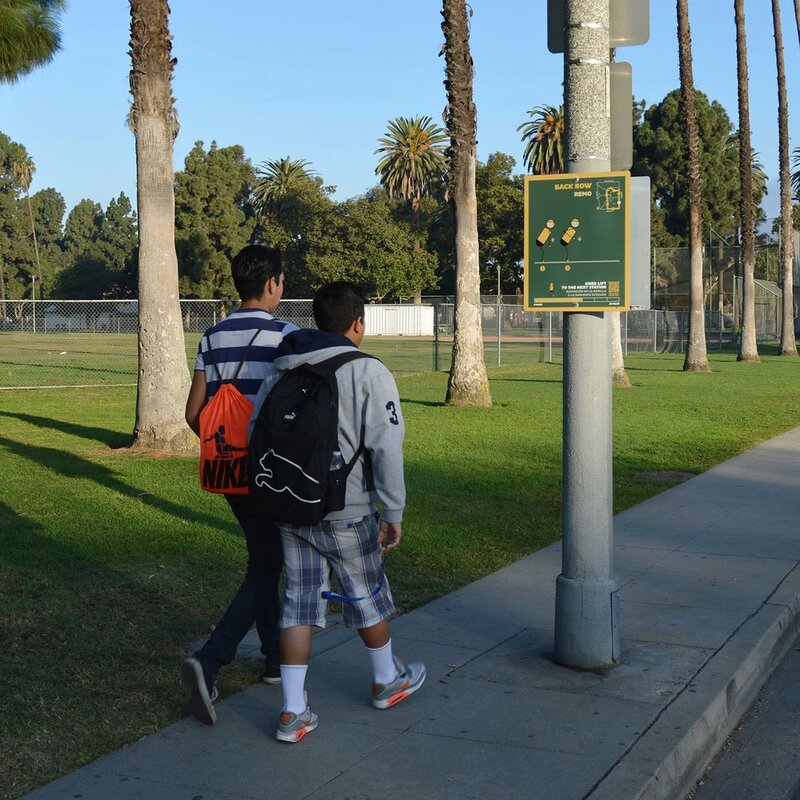 City Fabrick worked with the City of Long Beach Health and Human Services Department as well as the Coalition for a Healthy North Long Beach to develop a temporary intervention in North Long Beach’s Houghton Park by repurposing the park’s walking path network into a fitness loop. Using fun graphics and smart phone applications, the fitness loop provides instructions for participants to learn how to do simple exercises along a half-mile loop in the park. Participants also are instructed to traverse the loop between stations in active ways such as performing high-kicks, side-steps and jogging, among others. The fitness loop was installed to build interest and determine user trends for the eventual permanent fitness loop with outdoor exercise equipment. City Fabrick used an intensive collaborative design process with community stakeholders and staff in order to develop an environmental graphic program that balances visibility and visual interest while not being distracting to other uses within the park, including nature. The palette and design of the fitness loop signage is intended to allow easy replication in other parks in the city and is currently being considered for other locations. 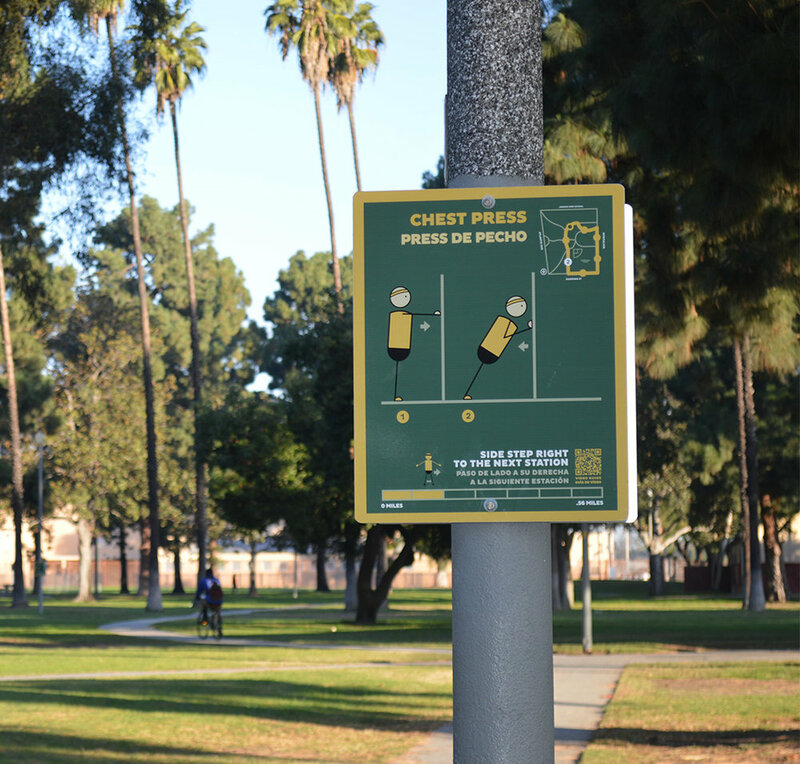 The Fitness Loop wayfinding program has already been installed in a second location, with plans for installing them at two more park locations.